When flying in or out of Chicago for business or leisure, look no further than the leading private charter flight company, Bolt Jets. We have access to a fleet of over 1,200 stylish, luxurious private jets and helicopters, offering exemplary customer service every time. Our private charter flight packages are exceedingly competitive and with so many to choose from, there’s bound to be something to suit any requirement. Bolt Jets can fly from anywhere in the world and we are often used for business and leisure trips to and from Chicago, whether for a corporate event, a romantic trip for two, a shopping experience or simply because no other form of transport will do. Bolt Jets is the premium service delivering charter flight excellence. For convenience, the Bolt Jets concierge team is available 24 hours a day, 7 days a week and 365 days a year. So we are always ready to organize every aspect of private air travel, no matter what day or time. Chicago, Chicago – what a wonderful town! With so much to do, it’s a good idea to factor in some extra time to really take advantage of everything available. The city is located on Lake Michigan in the Midwest of America and is home of sport, music and architecture. There’s also an internationally acclaimed symphony orchestra, live theatre and a vast number of restaurants and shops to peruse. For those who appreciate architecture, Chicago is home to the modern building and there are plenty to admire, from historic landmarks to state-of-the-art skyscrapers. The city is home to the world’s ten tallest building including Willis Tower. Don’t forget to visit the Chicago Cultural Center which was finished in 1897 and is quite a sight to witness. See building work by famous architects Ludwig Mies van der Rohe, Helmut Jahn, Louis Sullivan and many others when you walk down Chicago’s bustling streets. For sublime shopping, visit North Michigan Avenue (nicknamed the Magnificent Mile), home to designer names and the world’s renowned department stores. 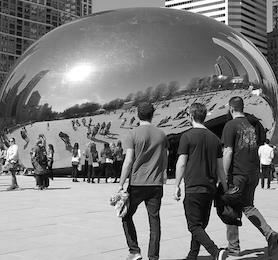 Walk The Loop (wear comfortable shoes) to see many other landmarks and don’t forget to spend some time in Millennium Park, which is right on the waterfront and offers spectacular views. When the weather gets hot, there are also golden sandy beaches to soak up the sun or just to stop off and enjoy a tall, cold drink. In the winter, the temperature is cold but it’s definitely worth seeing frozen Lake Michigan although to really get the most of the view, it’s a good idea to charter a private Bolt Jets and see it glistening from above. For fabulous Mexican food, head to Mi Tocaya Antojeria and sample the cactus stew, queso fundido and longaniza sausage – do go hungry! Daisies in Logan Square offer a delicious Italian menu of fresh, unique pastas that aren’t too heavy. There are also Midwestern style dishes, such as sticky ribs. Vegetarians needn’t go hungry, Clever Rabbit in Wicker Park has a number of innovative vegetarian dishes and also offers plenty of burgers, meat and fish – washed down with one of their impressive cocktails, it is definitely a hotspot! Too busy to try out the best eateries in Chicago? Speak to our dedicated concierges team to arrange for dinning options from your choice of any Chicago restaurant during your charter flight out of Chicago. For the highest quality private charter flights and helicopter hire in Chicago, look no further than Bolt Jets. We fly our private jets from anywhere in the world and we provide leading concierge service. Our charter flight packages to and from Chicago are very competitive and cannot be beaten. There’s nothing we can’t do and with availability 24 hours a day, 7 days a week, 365 days a year, the team is just at the end of a telephone to tailor the ideal private flight package. 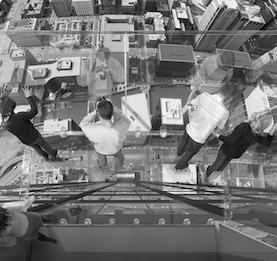 Planning a corporate trip to Chicago? Our concierge team is available to discuss any corporate business trip in and out of Chicago and can organize everything so no detail is left undone. Our concierge team can help with any aspect of private charter flight travel and even advise on the best places to stay in Chicago, on-board food and organize suitable transfers or onward journeys. There are different airport options when chartering private jets to and from Chicago.